Although it's spring I still love to make soup for lunches. I look for lighter recipes using a lot of vegetables and fresh flavors, like lemon and cilantro. This soup that I came across in Cooking Light sounded like the perfect spring soup, and it was. It was filling for lunch and was healthy, too, so I felt good about it. 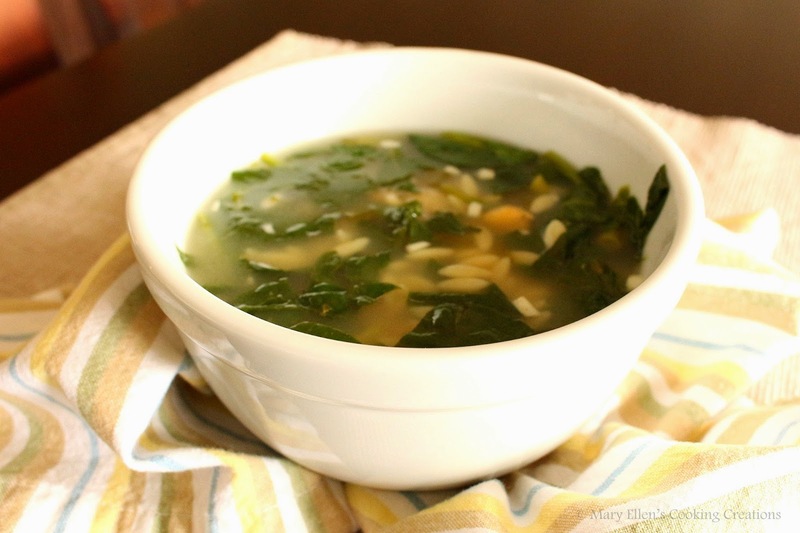 I loved the lemon with chic peas and spinach - a new perfect flavor combination for me! I made only a few changes to the original recipe, including using less orzo so it wouldn't be packed with pasta. Enjoy! Add chicken broth and 2 cups water; bring to a boil. Stir in oregano and next 4 ingredients (through spinach). Ladle 1 3/4 cups soup into each of 4 bowls; top each serving with about 4 teaspoons cheese.